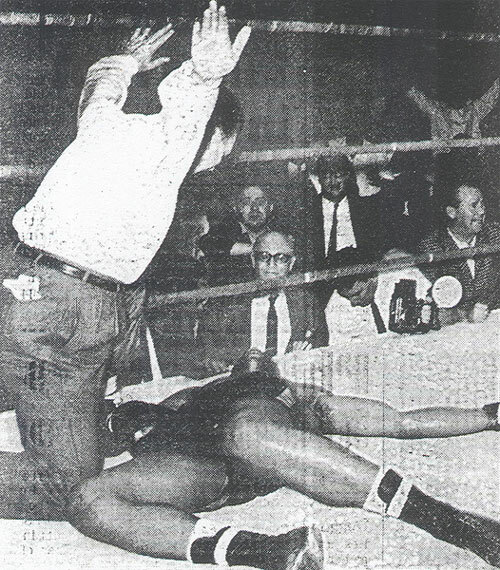 On this day in 1965, hard-luck heavyweight contender, Leotis Martin won his fight against Sonny Banks at the Philadelphia Arena in West Philly. It should have been the cause of celebration. However, Banks slipped into a coma after the bout and died from his injuries three days later. The fight itself was a scrap, with Banks taking an early lead. But Martin fought back and landed many hard shots throughout rounds three to eight to pull ahead in the scoring. In the ninth round, it was a single shot - a big right hand - that dropped Banks. Referee Joe Sweeny counted him out at 2:58. Banks was eventually taken to Presbyterian Hospital where he underwent surgery but never recovered. Banks died on May 13, 1965.